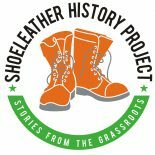 June 19th marks a significant incident in Connecticut history. Yet no one celebrates it. (No, I don’t mean Juneteenth, which is the African American community’s commemoration of Lincoln’s Emancipation Proclamation.) June 19, 1879 was the day Hank Morgan got hit with a crowbar by a worker known as Hercules, a powerful blow that sent Hank back to the sixth century. 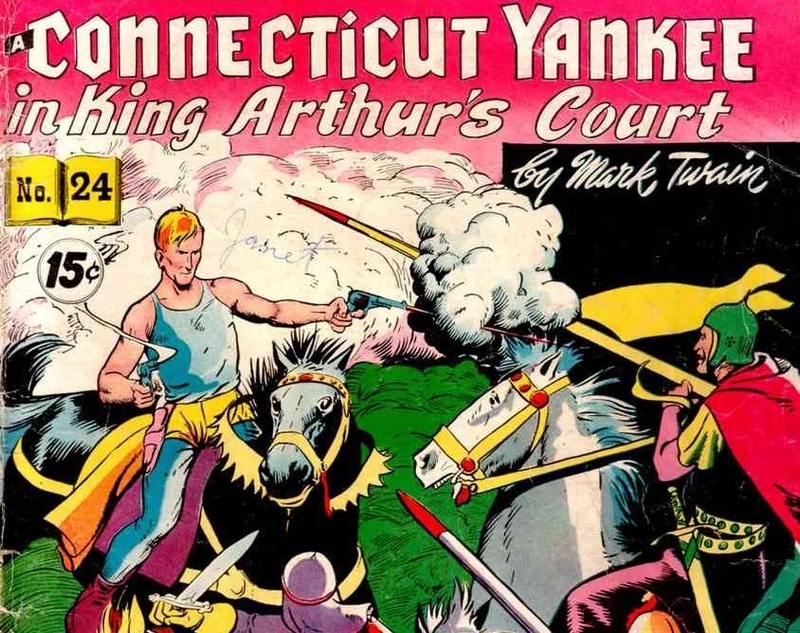 I am, of course, referring to the plot device used in A Connecticut Yankee in King Arthur’s Court, the 1889 Mark Twain classic. This novel is known as a satire that explores time travel and pokes fun at chivalry, monarchy, and gullible human behavior. But Connecticut Yankee is much more, and its lessons are especially relevant today. Mark Twain predicts America’s international military adventures of the 20th and 21st centuries. 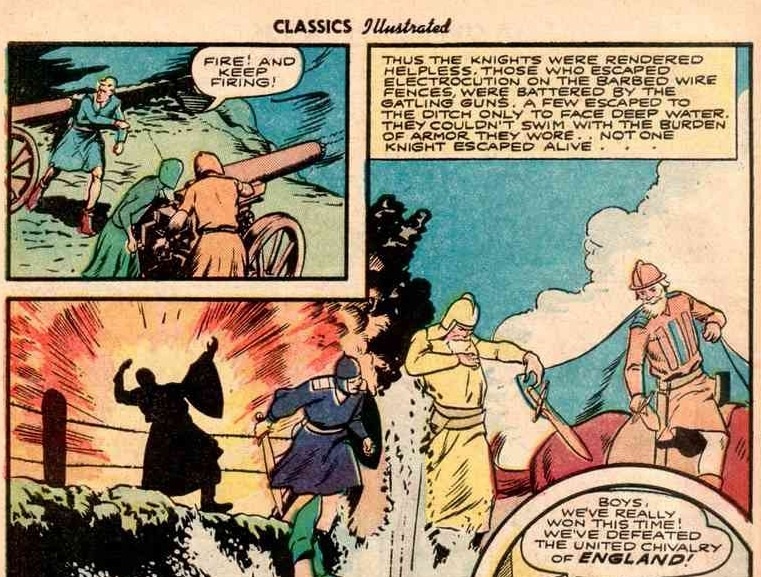 Hank Morgan, a foreman at the Colt firearms factory, finds himself transported to King Arthur’s Camelot. As a visitor from the future he is the smartest man in the world. His contributions to improve the feudal, backward England of 528 A. D. are democracy and technology. But not just any technology– Hank has the experience of mass producing deadly Colt weapons, after all. Hank recoils from the slave-like conditions of poverty and violence inflicted on peasants by the English gentry. He witnesses the extravagant Gilded Age excess of the royalty and nobility. In response to this gulf between rich and poor, Hank seeks to create a Republic by bringing this primitive population a new political and economic system based on modern technology. Call it nation building. Progress comes with a price, however. Hank makes enemies of the Church and the nobility, all of whom have lost wealth and privilege as the result of his reforms. They organize a holy army to drive him out. Exporting democracy takes a terrible toll on the country Hank wants to save. He resorts to modern warfare to protect the progress he has bestowed on the English peasants. They didn’t ask for any of these improvements, or the arsenal he has built, but they have them now. Hank’s crew creates explosive glass torpedoes and buries them under the sand for use as land mines. Miles of electric fences burn thousands of unsuspecting knights to death so quickly they can’t cry out. 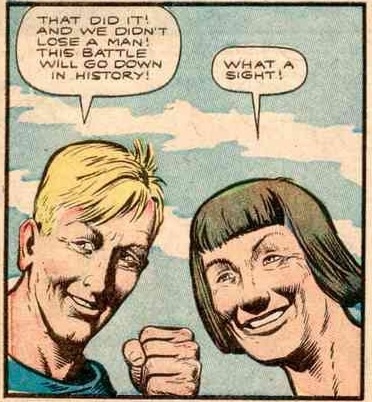 Hank calls the results his “red terror.” This death by electrocution is meant to keep the enemy away, but it also ends up trapping Hank and his followers in their fortified cave, victims of their own technological prowess, in a war they cannot win. Connecticut Yankee is prescient. It is a narrative that our nation has played out on the soil of many small nations, Iraq and Afghanistan being the most recent. It’s almost like Sam Clemens built himself a time machine. This entry was posted on June 19, 2014 by Steve Thornton in Hartford.